Sterlingville Cemetery | Historic Jacksonville, Inc. Both John Cantrall and Patrick Fehely, featured in our last 2 History Trivia Tuesdays, mined in Sterlingville, located about 6 miles south of Jacksonville. 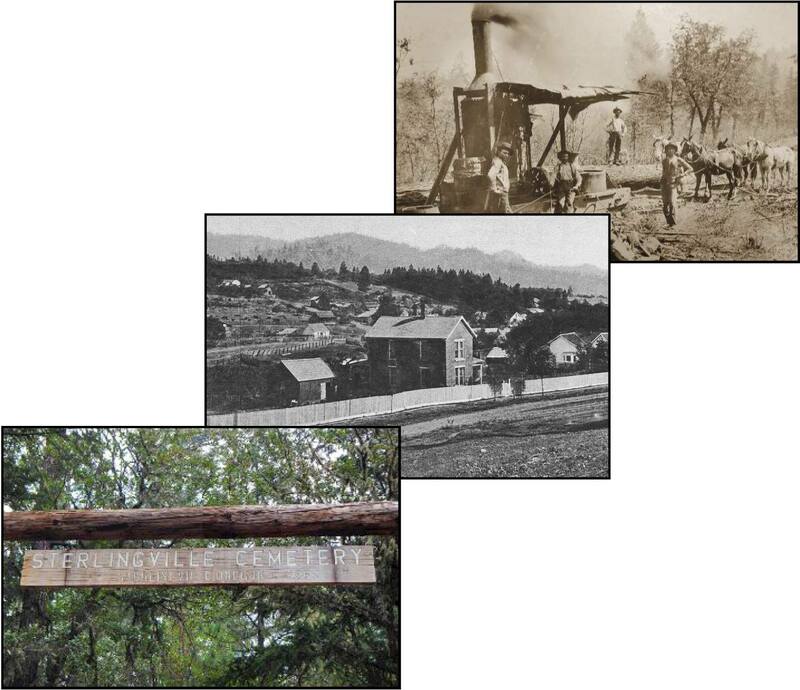 An entire town sprang up after miners James Sterling and Aaron Davis struck gold in 1854 in nearby Sterling Creek. With the gold miners came boarding houses, saloons, general stores, a casino, a dance hall, a barbershop and blacksmith shop and many houses. Within 2 years Sterlingville was home to over 800 people; at its peak Sterlingville had a population over 1,500. Jacksonville’s South 3rd Street (shown here in front of the Fehely House) connected to the Sterlingville Road. In 1877, the Sterling Mine Company built the Sterling Ditch, diverting water 23 miles from the Little Applegate River for hydraulic mining. Sterling Mine quickly became the largest hydraulic mine in Oregon. But as the gold diminished, so did the township. After the Great Depression, what little business and population were left slowly faded away and nature eventually reclaimed the buildings. Today, the cemetery is the only remaining sign of Sterlingville’s existence. Patrick Fehely and his wife, Sarah Jane, are both buried there.